Thinking of the month of March from a foregone time in Indiana, it is Regional Week. If one notices the term “regional,” think back to the old Indiana High School basketball championship, which was contested in a single classification for all schools until 1997. It took four rounds to get the final four – or state championship – weekend. The format went sectional, regional, semi-state and final four. 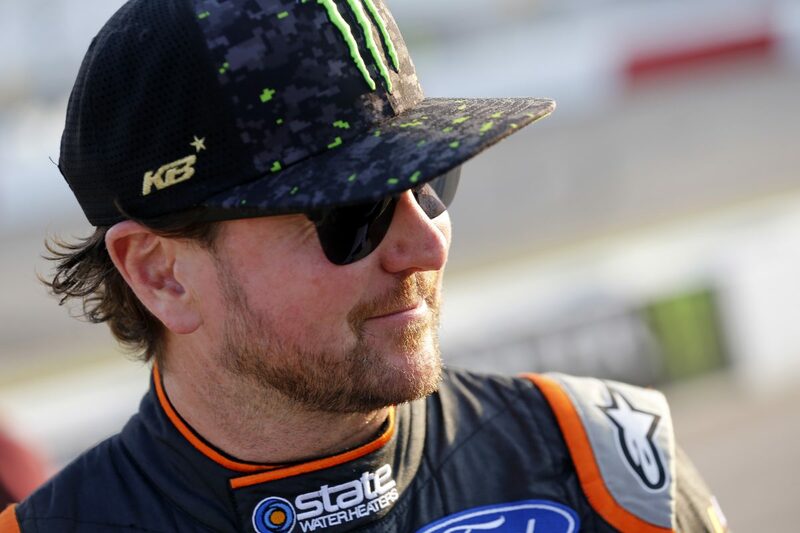 The “sectionals” were last week at Martinsville (Va.) Speedway and Kurt Busch finished an impressive sixth. There are three weeks left, so this week’s AAA Texas 500 can be considered regional week. Pre-1997, teams in Indiana had to win two games in one day at the regional, semi-state and state finals. And the 16 regional sites were massive events at some of the largest high school gymnasiums in the world. Facilities like the one at East Chicago, which held 8,926 people, or Anderson at 8,996, Washington at 7,090, Michigan City at 7,304 and Seymour at 8,110. One particular regional was always held in the largest gym in the world – New Castle Fieldhouse. It was built in 1959 and can seat 9,325. So New Castle would always host the sectionals and regionals, which always gave its team a great home court advantage. Busch, driver of the No. 41 State Water Heaters Ford Fusion for Stewart-Haas Racing (SHR), is from Las Vegas but is looking for a little “home court” advantage in this week’s Monster Energy NASCAR Cup Series Round of 8 playoff race at Texas Motor Speedway in Fort Worth. Busch has three poles, one win, three top-five finishes and 18 top-10s at the 1.5-mile oval. Additionally, the 40-year-old driver has led 335 laps, has an average starting position of 13.7, an average finish of 14.8, and has completed 98.5 percent – 10,179 of 10,337 – of the laps he’s contested there. And Busch and his car have a bit of a different look this week as State Water Heaters is his sponsor on the No. 41 Ford Fusion. This weekend, the first 30,000 fans to arrive at Texas Motor Speedway Sunday will receive at Kurt Busch State Water Heaters bobblehead. If Busch is to score a victory, he’ll bobble all the way to victory lane – and to Homestead-Miami Speedway as part of the Final Four, or as it is known in racing circles, the Championship 4. Talk about how challenging Texas Motor Speedway is. You still hold the track record you set last November. Talk about your record-setting lap last year at Texas. Overall thoughts heading to Texas this week?